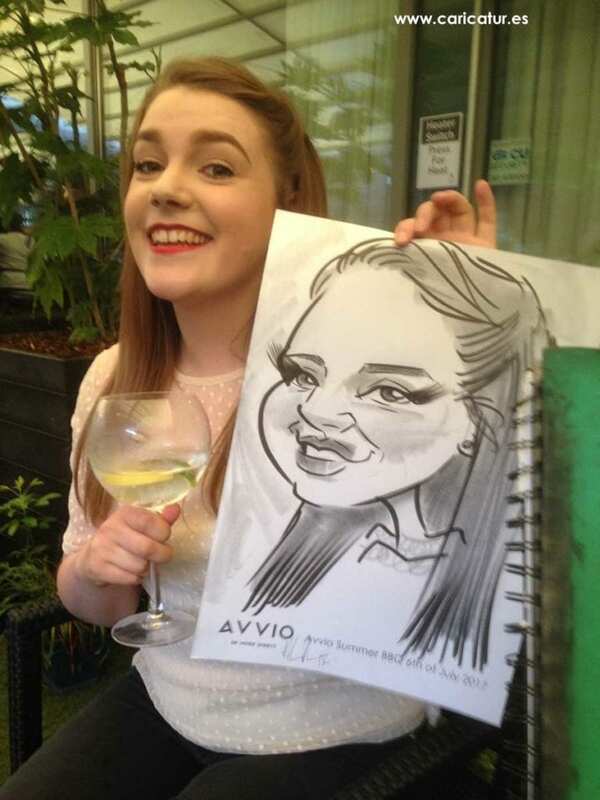 Staff Parties - Live Caricatures from Limerick Strand Hotel! 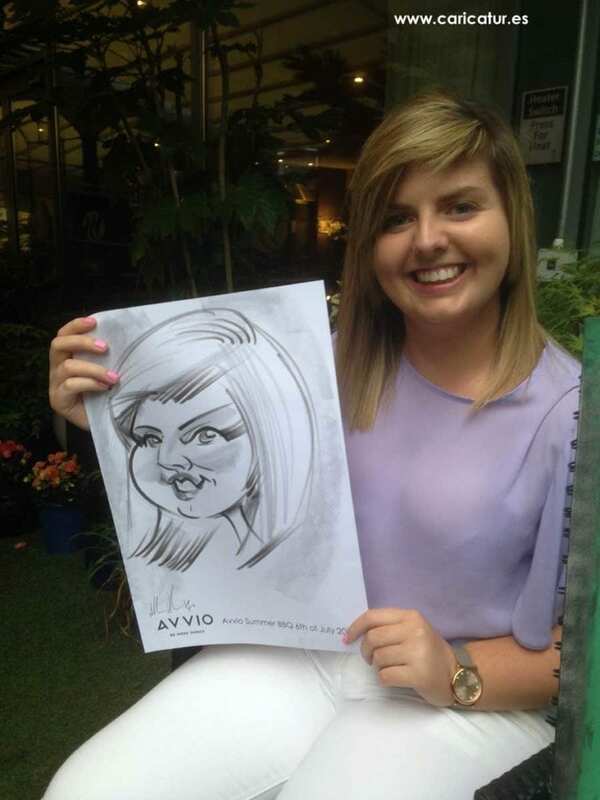 Had a great night in the Limerick Strand Hotel with the staff of Avvio. 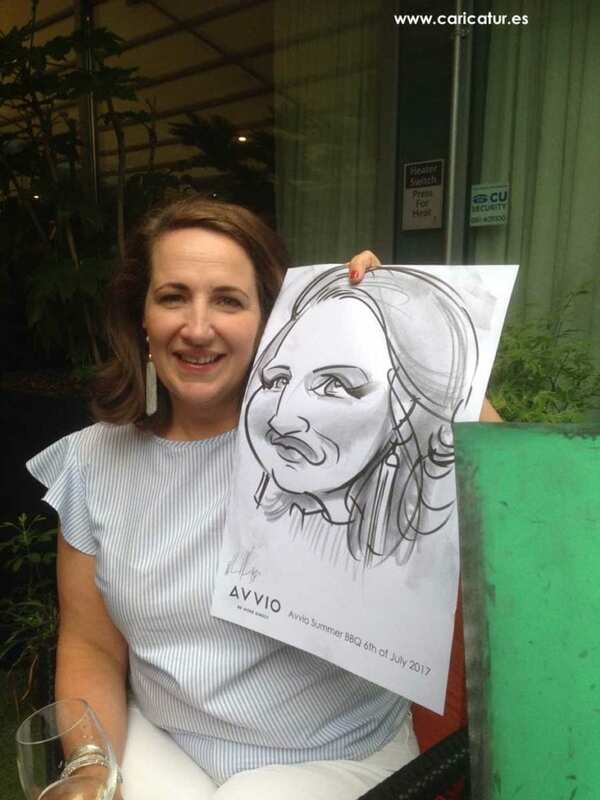 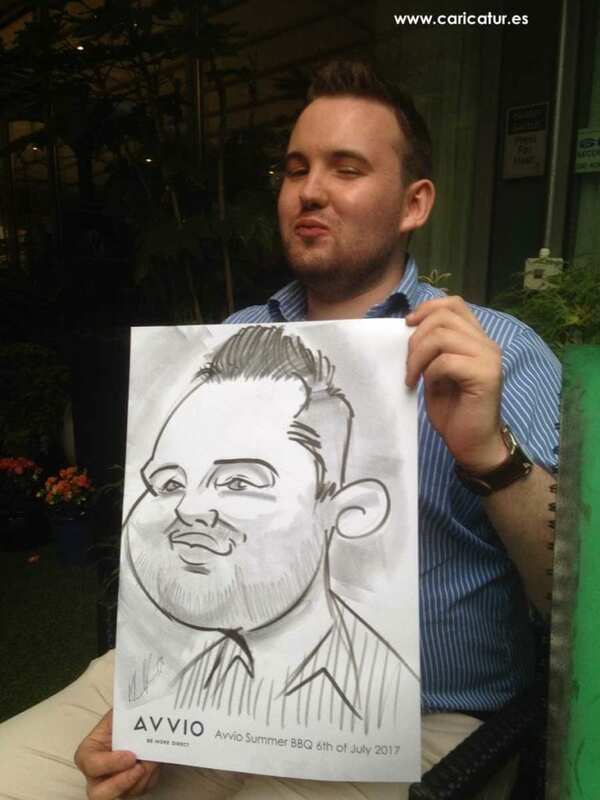 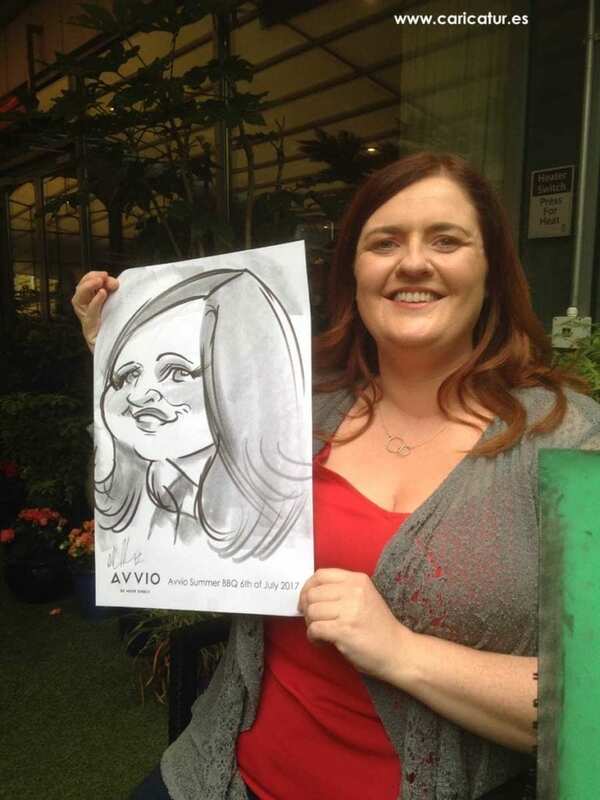 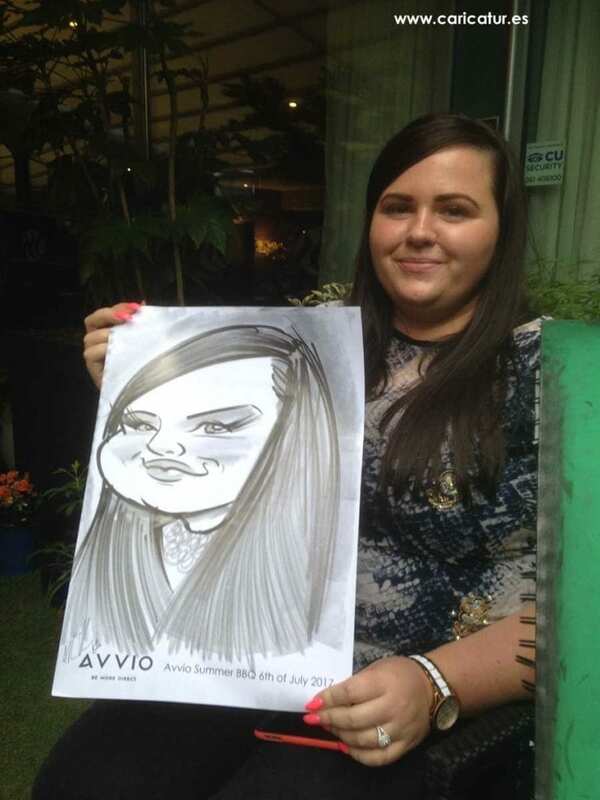 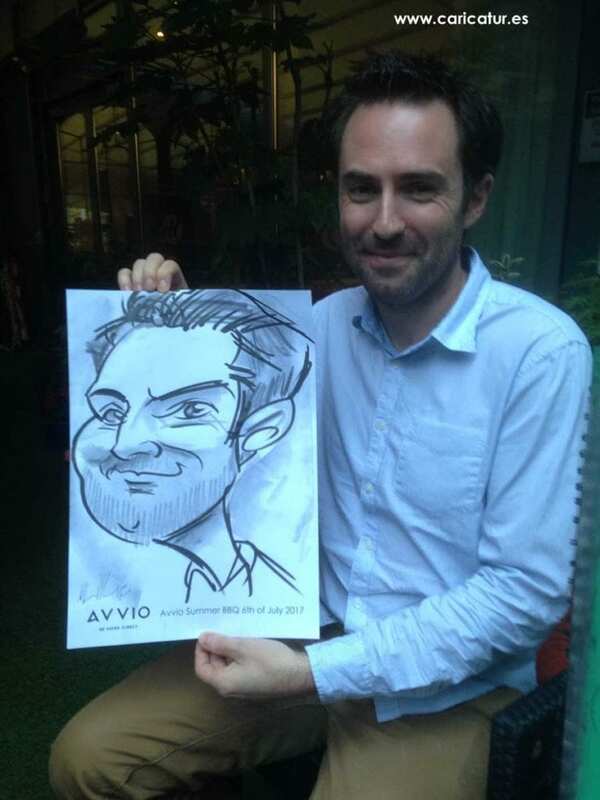 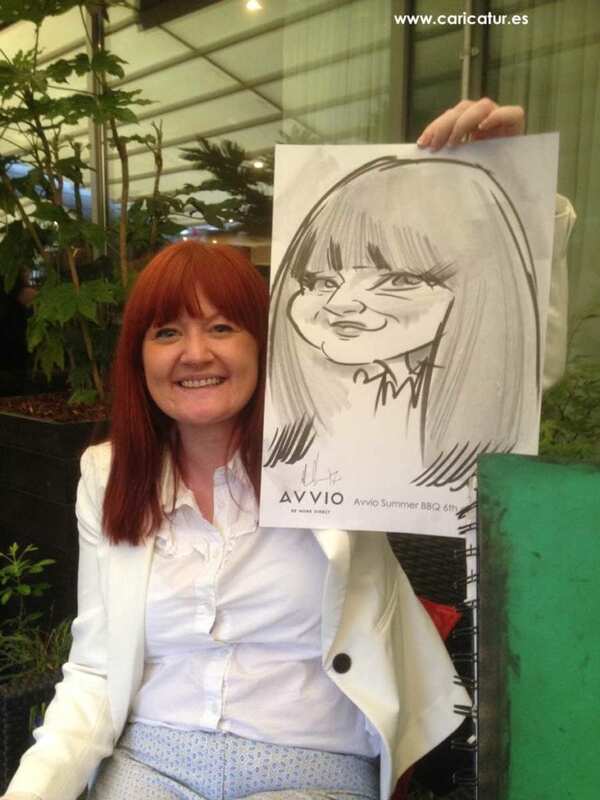 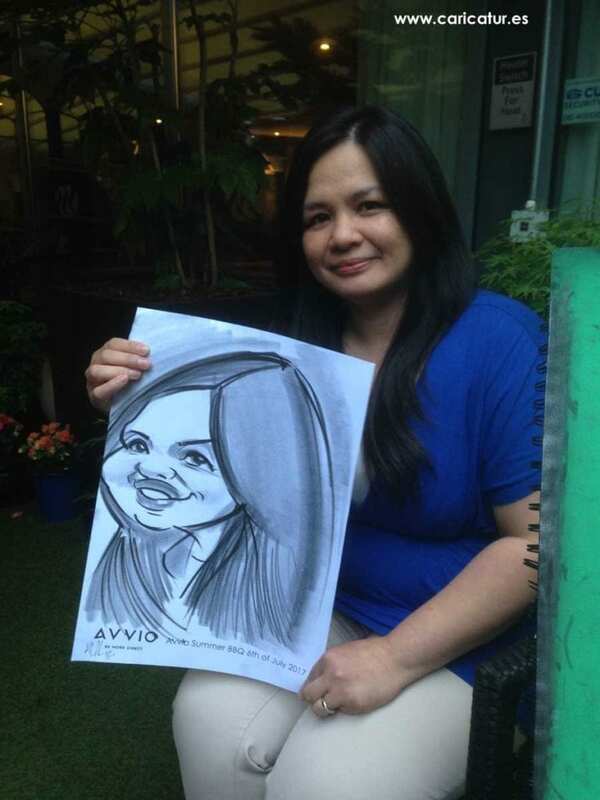 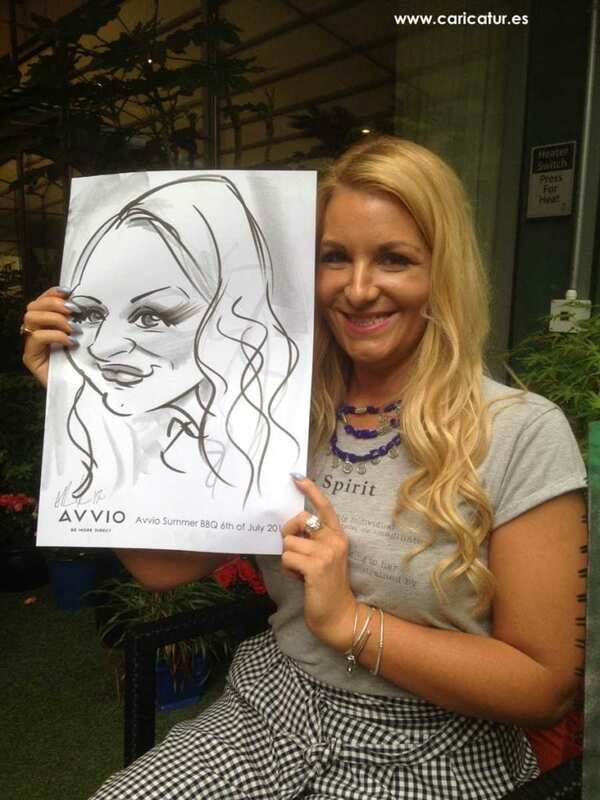 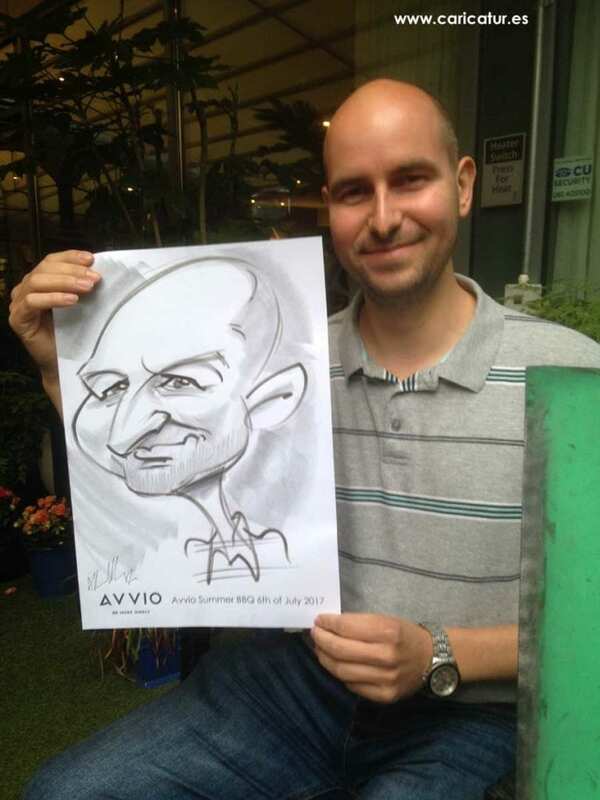 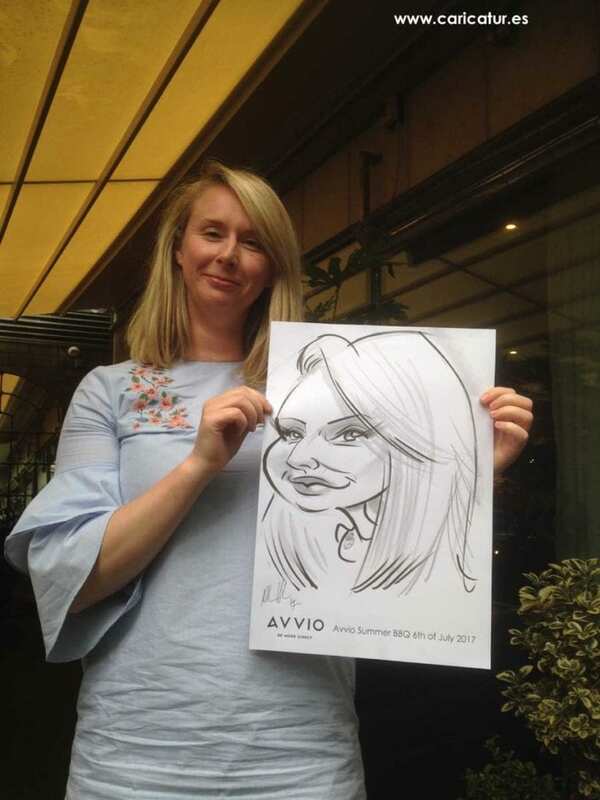 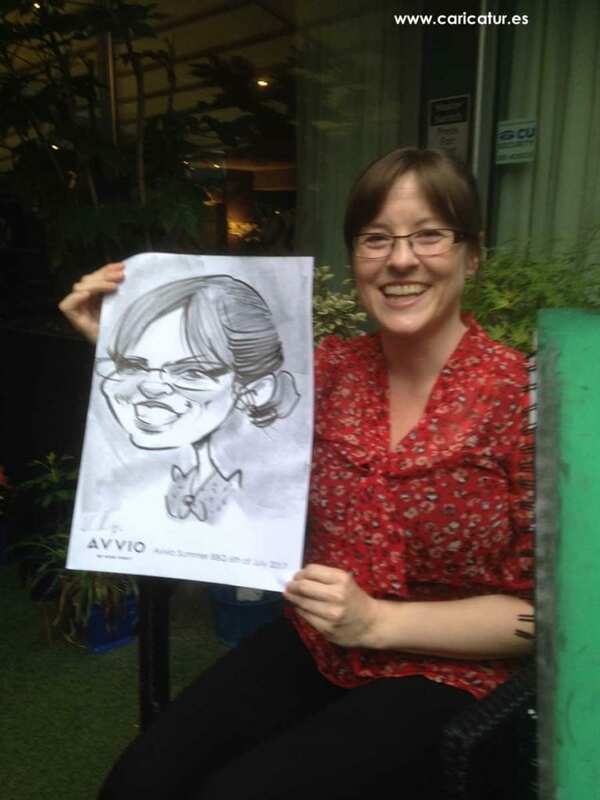 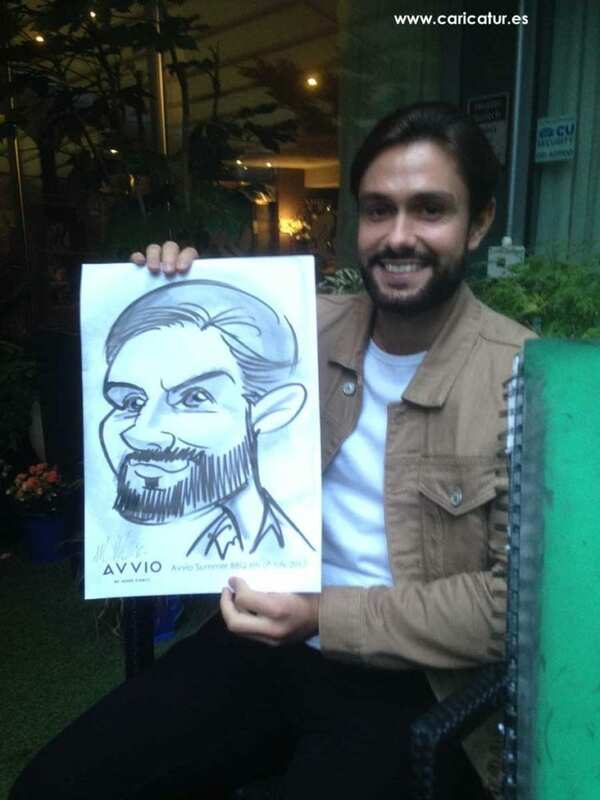 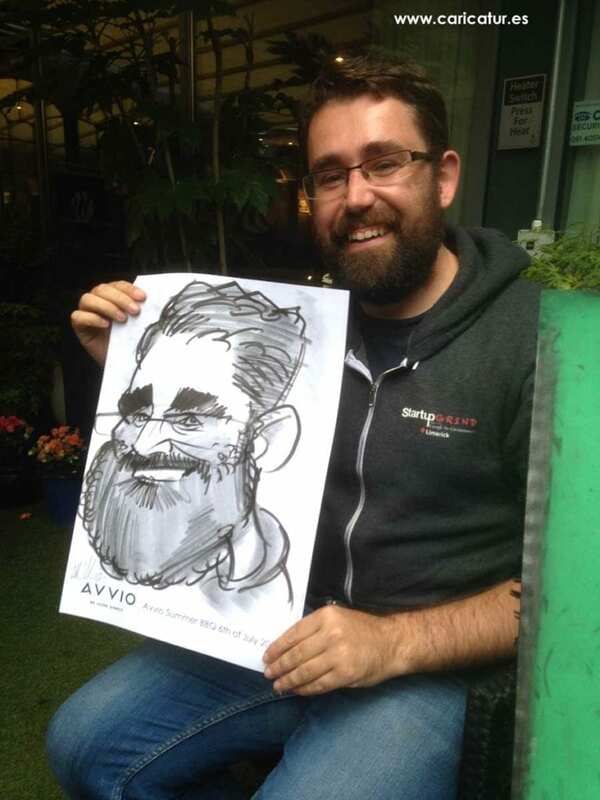 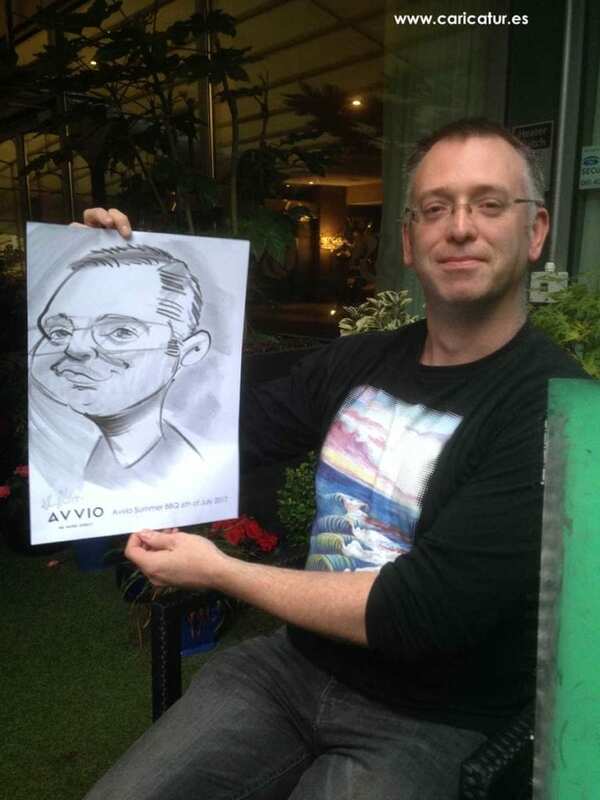 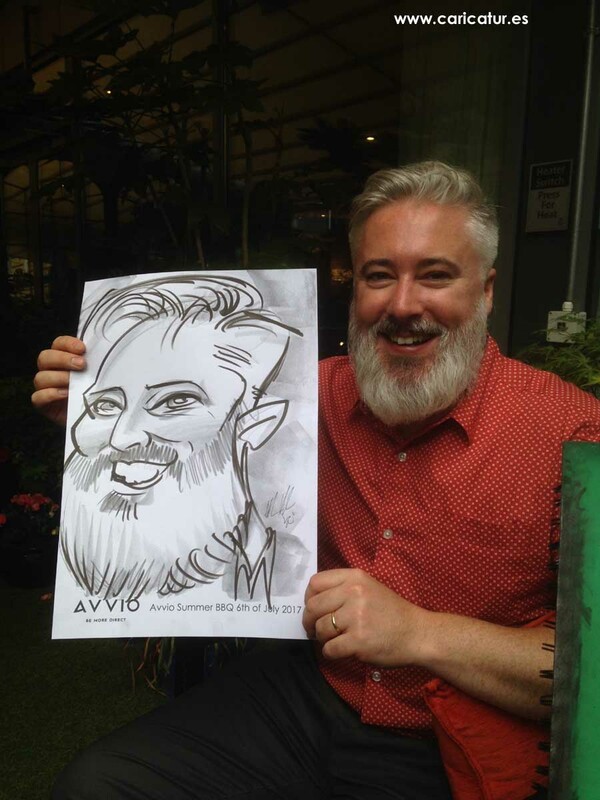 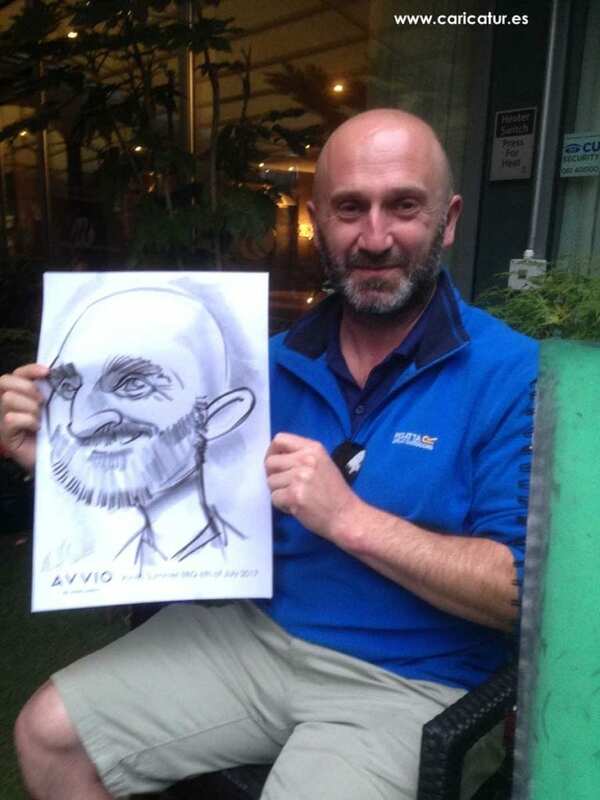 They were enjoying a Summer BBQ and of course who better for staff parties than a hape of caricatures by Allan Cavanagh, drawn on the spot in 3 minutes! 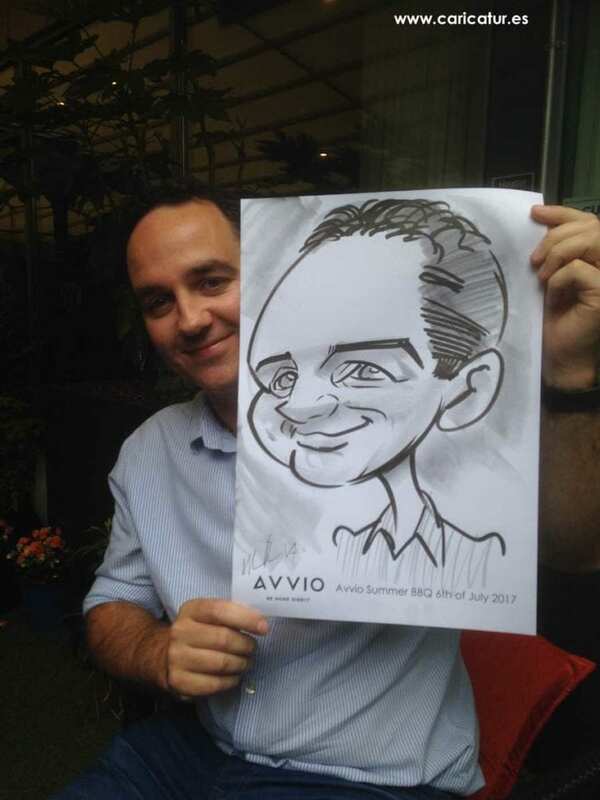 My caricatures were nicely smoked as I set up quite close to the barbeque, but they opened the roof of the nice outdoor area in the Strand and I had my second al fresco gig of the year. 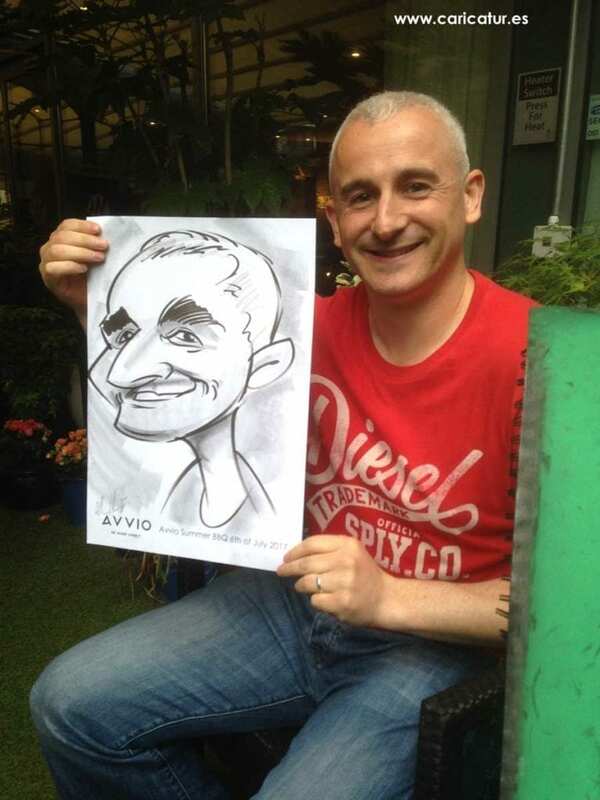 A very enthusiastic bunch and a real pleasure to draw. 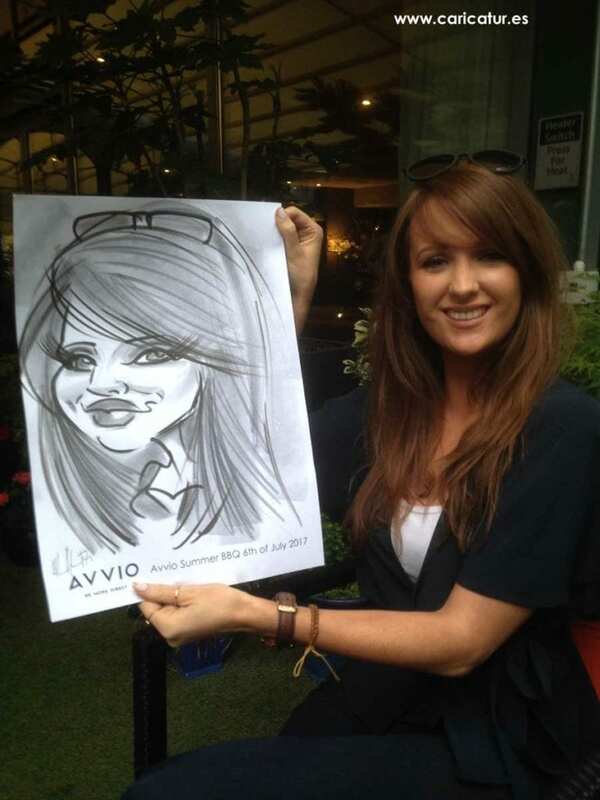 If you have a staff party coming up drop me a line for details! 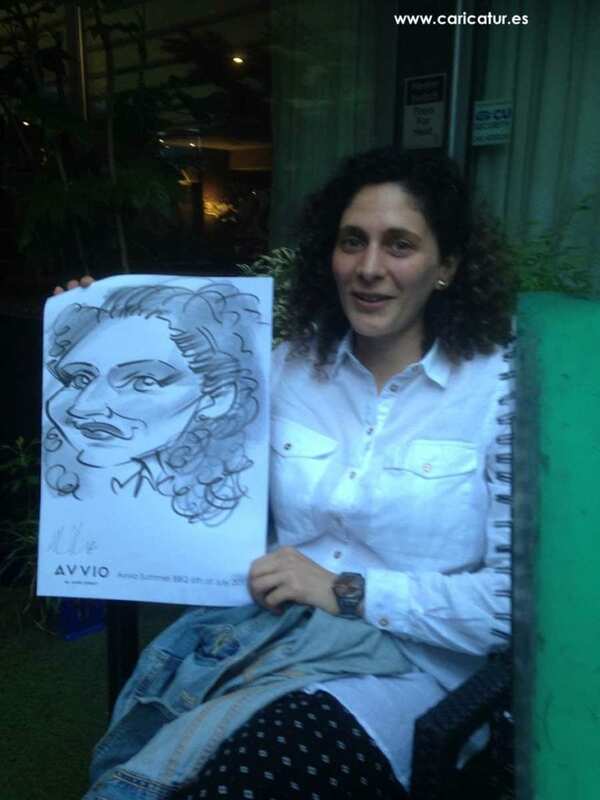 I had a big Harry Potter fan sit for me and she wanted to be a Harry Potter character. 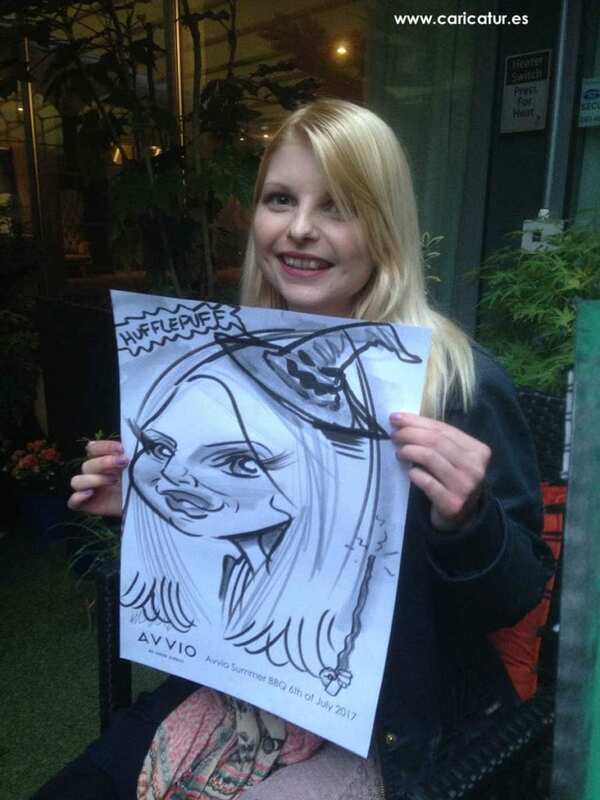 I had a quick google of the Sorting Hat on my phone while she was sitting for me. 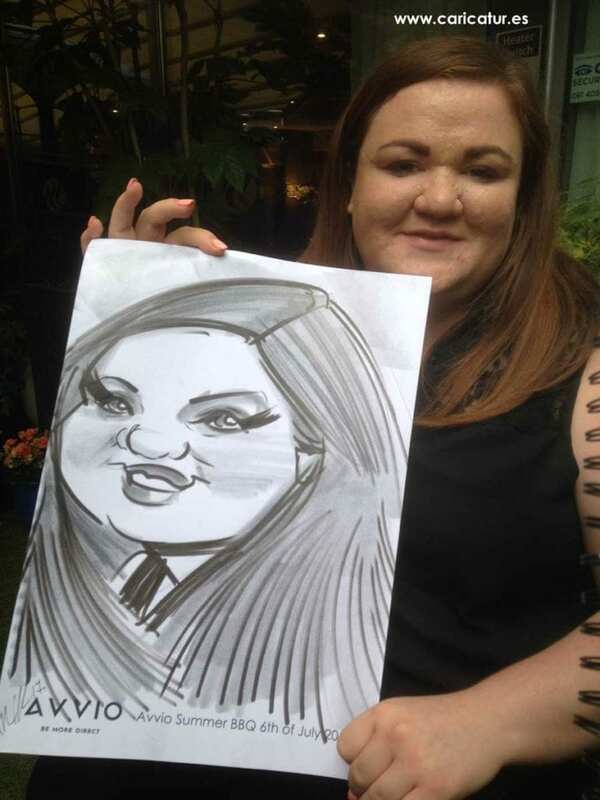 She’s just been selected for Hufflepuff in the drawing, and I gave her a wand as well! 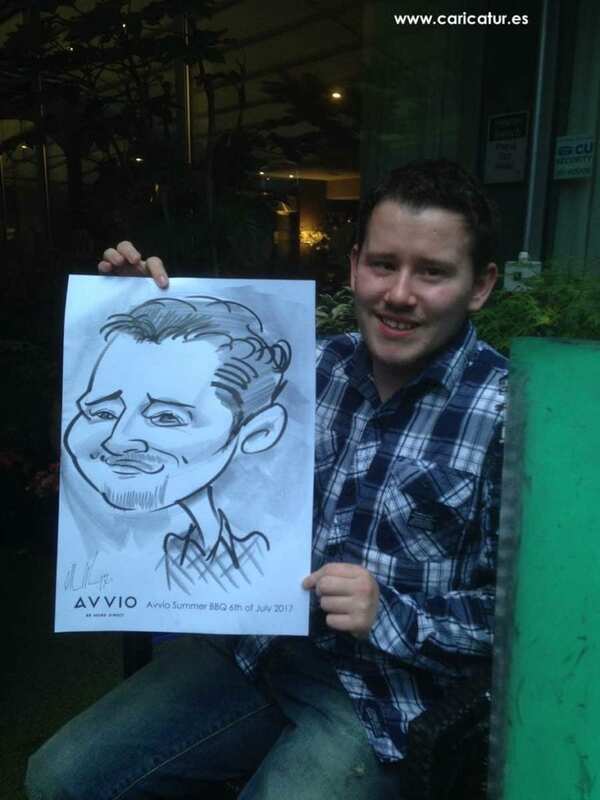 You can see more of my art from the night in the gallery below.